Synopsis: New Jersey police lieutenant, Laurel Hester, and her registered domestic partner, Stacie Andree, both battle to secure Hester’s pension benefits when she is diagnosed with terminal cancer. Thoughts: Reigning Best Actress Oscar winner Julianne Moore (Still Alice) might want to pick out another redhead friendly clothing ensemble because Freeheld could nab the actress another season pass for end of the year rewards. 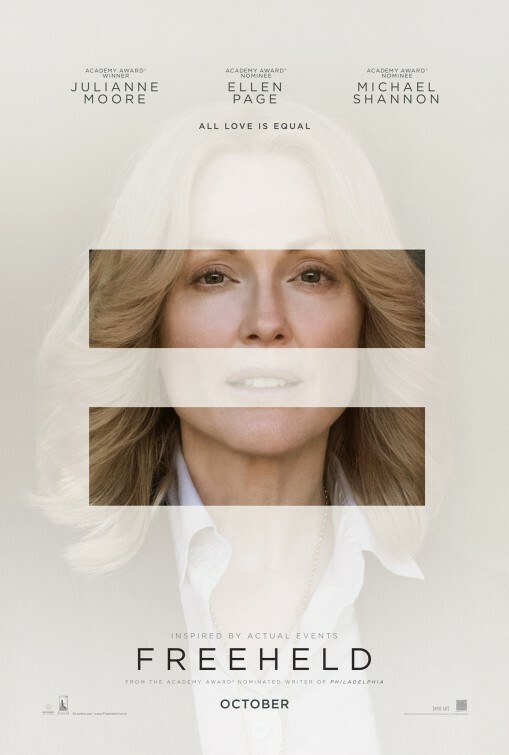 Starring alongside fellow Oscar nominees Ellen Page (The East), Steve Carell (Foxcatcher), and Michael Shannon (Revolutionary Road, Man of Steel), this true life drama concerns the fight for equality by two lesbian life-partners. While the trailer dips into some TV-movie-of-the-week-ish maudlin speechifying, I’m hoping that screenwriter Ron Nyswaner (who penned the similar Philadelphia, also Oscar nominated) finds the honesty in the midst of the sentimentality.